Not every hotel lets you have an unregistered guest overnight, but these hotels do, with no joiner fee. 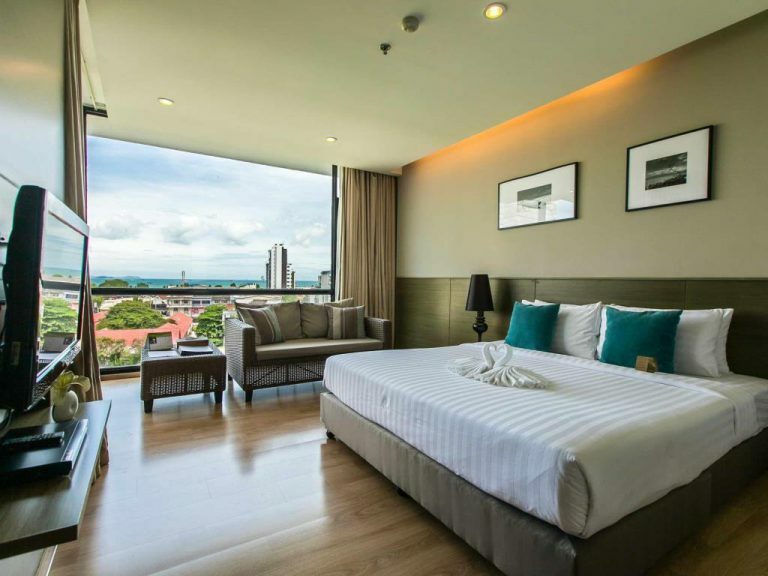 Have a look through our list of the best guest friendly hotels in Pattaya, we’re sure you’ll find one that fits your style and budget. 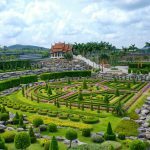 These hotels are both girl and ladyboy friendly hotels and you should not have any issues bringing guests home. Although we strive to keep this list up to date, things do change from time to time. If you find any of the information to be inaccurate or run into any issues with the hotels on this list please let us know so that we can update the list accordingly. 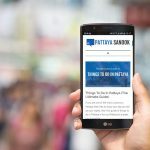 While some sites seem to just list every guest friendly available in Pattaya, there are so many options they might as well just post a link to Agoda.​ What we’ve tried to provide here is a curated list of hotels that meet our standards. These are the hotels we recommend to our friends. Before we get into our list we’ll briefly describe what we consider a guest friendly hotel as well as an explanation of our pricing categories. Our hotels are broken down by area and you can use the quick navigation to jump to the area of Pattaya you wish to stay or to a specific hotel. Like a lot of things, the definition of a guest friendly hotel differs depending on who you talk to. We’ll go over our criteria so you know exactly what to expect from one of the hotels on our list. 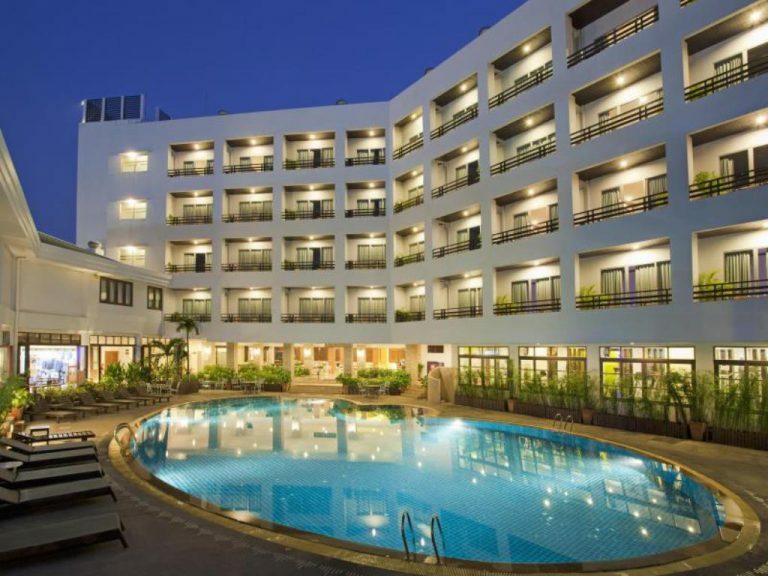 The Pattaya hotels we’ve listed all have a no joiner fee policy that allows one unregistered guest to stay with you overnight at no additional charge. The hotels will each have their own policy when you want to have two or more guests in your hotel room over night and you should check with them directly on any fees above 1 guest. That being said, the guest friendly hotels on our list should not charge you for having multiple visitors to your hotel room during the day and night. For instance, if a friend comes to visit during the afternoon and leaves, and a different friend comes over and spends the night, this should NOT count as two guests. There should not be a charge for this scenario. If you experience this at any of the hotels listed, please let us know as we don’t consider this guest friendly. North Pattaya hotels are a little farther out from the city center, but most are relatively close to Soi 6 if that is your thing. That being said, everything is fairly close in Pattaya and you can hop a baht bus or motor bike taxi to reach where you want to go in a few minutes. Located just north of Central Road, the Amari Nova Suites combines a good location with excellent amenities and décor. This hotel offers both studios and 1 bedroom suites with kitchenettes. The serviced apartments have modern interiors with a range of amenities including pool and fitness center. 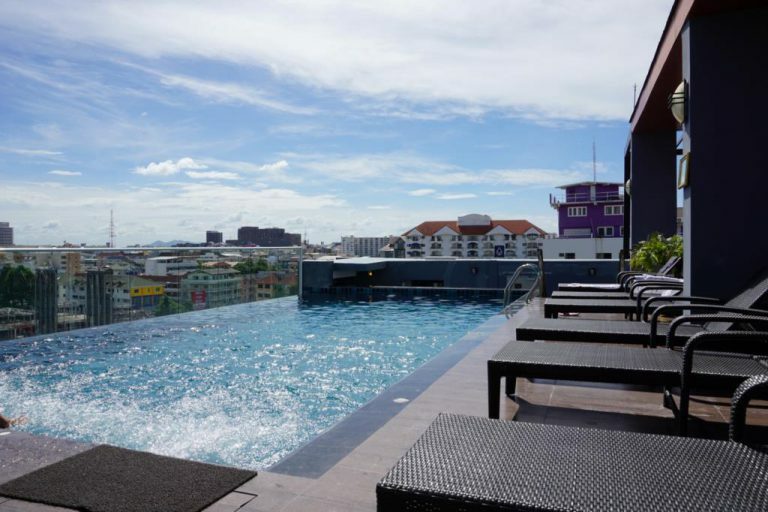 The roof top pool and good location in a quiet street just off Central Pattaya Road make the April Suites a well-liked hotel. The rooms are large and clean, the interior design is a bit minimalist but well done. There is a small fitness center on site if you want to get a workout in while on holiday. Spacious serviced apartments ranging in size from Deluxe Studios to 2 Bedroom suites set the At Mind Serviced Residences apart. A short walk from Second Road and located close to many shopping and dining options. The hotel also provides a relaxing pool and large fitness center with sauna. 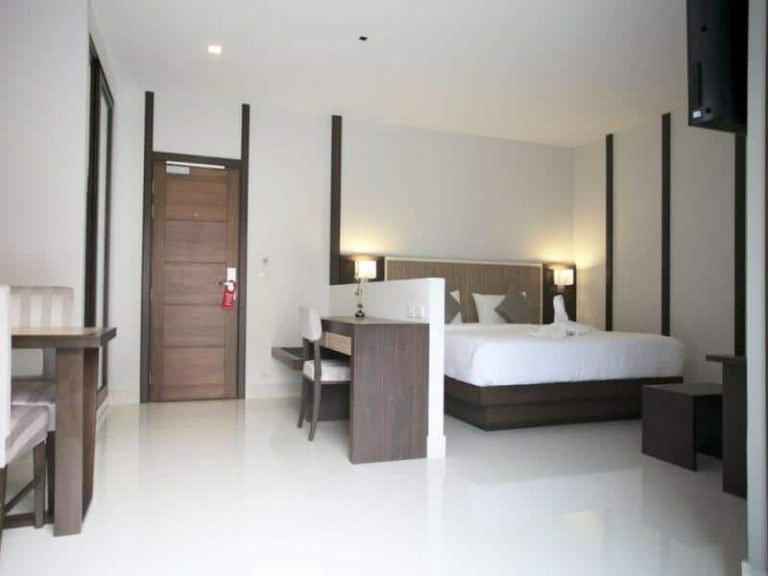 The August Suites sit just off central road in a prime location, making it easy to walk or catch a baht bus to dining, shopping, or nightlife. Large rooms, a nice pool and fitness center, and a sauna combined with reasonable prices make this a very popular hotel. 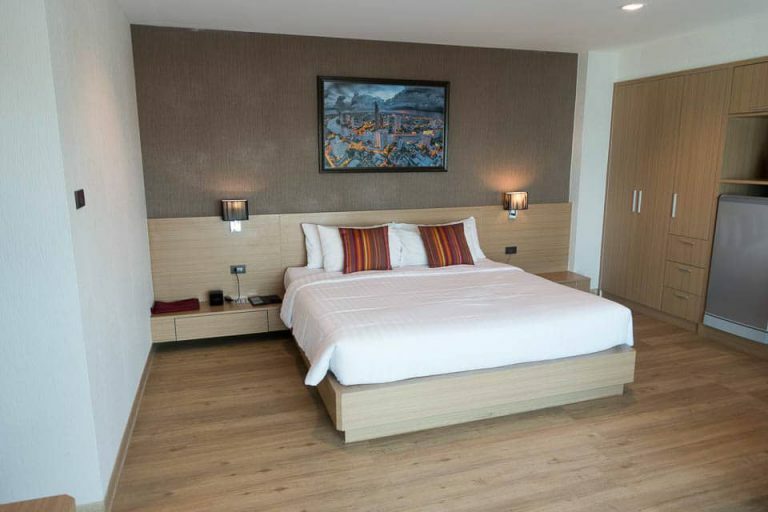 The KTK Regent Suite gets top marks for big rooms and good facilities as a very reasonable value for what you get. The interior design is a bit over the top and may not suit everyone’s tastes, but some people really enjoy the look. Indoor Pool, outdoor pool, large fitness center, and free wi-fi. 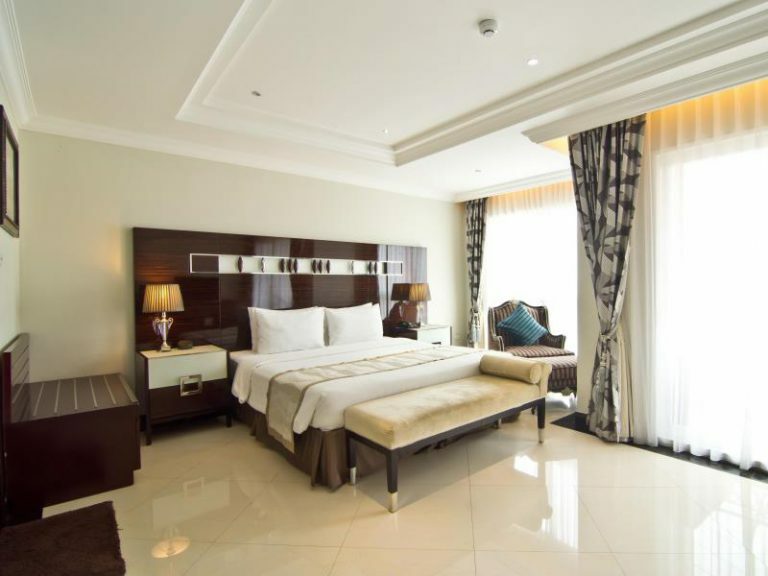 Located next door to their sister property, the KTK Royal Residence is another great hotel bringing the same amenities and in your face interior design as the KTK Regent Suite. 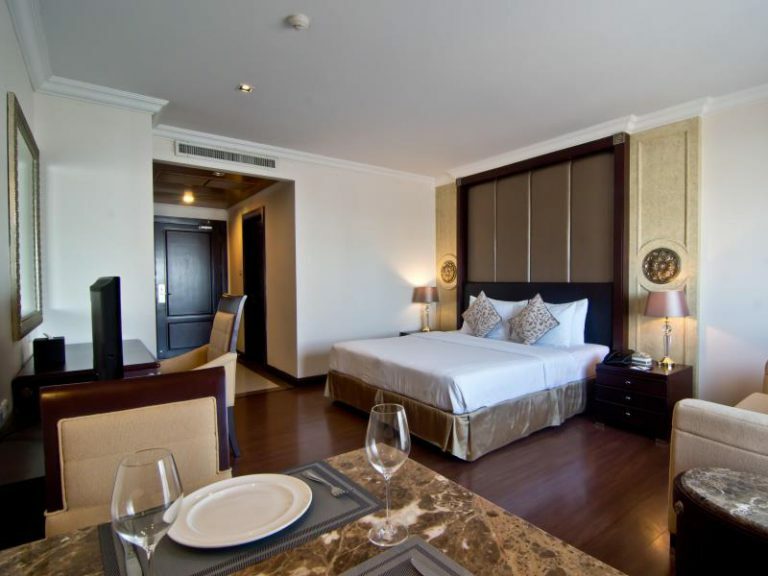 They are serviced apartments with a wide range of facilities available to guests including a pool and fitness center. 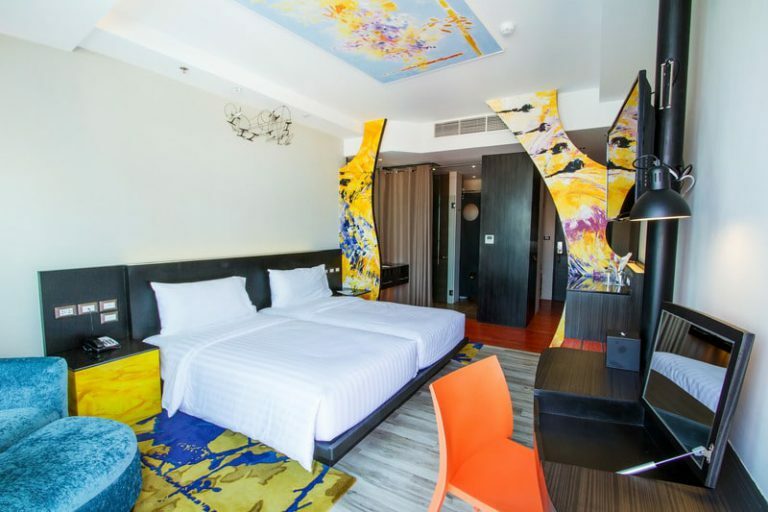 The March Suites is a new hotel in North Pattaya, opening within the last year. The rooms and overall look of the hotel is modern and sleek. It’s location is good, near both Central Pattya Rd and Second Rd making it easy to get around town. A very nice hotel located on Second Rd and Soi 2. A little farther north than the other hotels but it is situated in a prime location. Central Marine / Big C shopping mall is across the street, as well as many restaurants, bars, and entertainment venues. It is easy to catch a baht bus to wherever your destination might be. 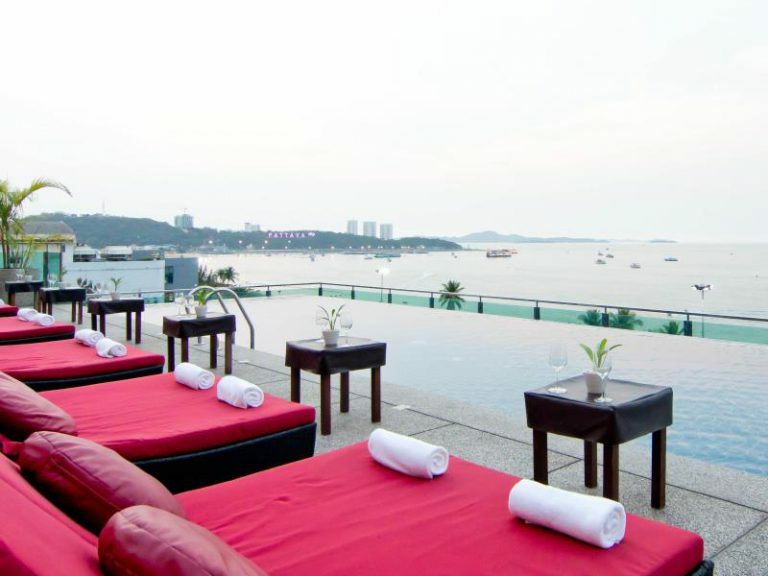 The [email protected] Design hotel has a great roof top pool and pool bar with great views of Pattaya Bay. The hotels in this area are from Central Pattaya Road down to South Pattaya Road. In our opinion this is the best area to stay. Most things are within walking distance, and farther areas like Soi 6 are a short Baht Bus or moto-taxi away. 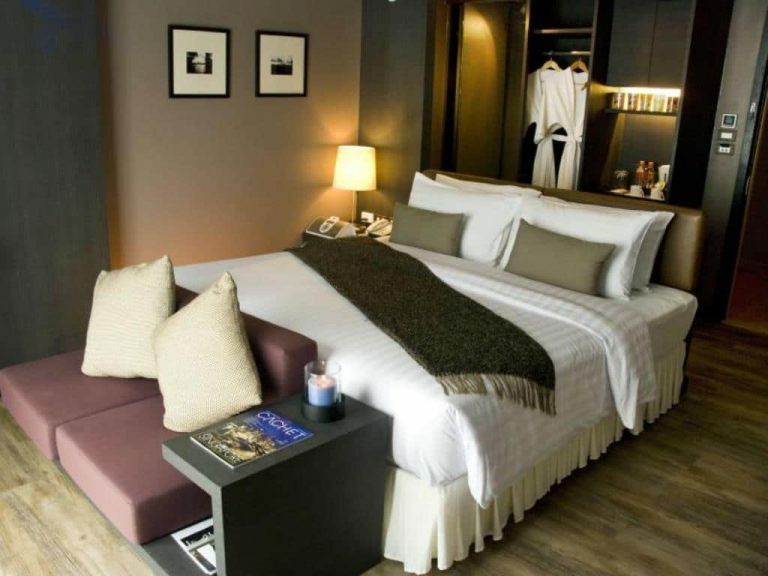 The 24/7 Boutique Hotel is located in a convenient location on Soi Honey. While it is centrally located, the street can be a little busy. The rooms are very nice, a touch on the small side but have that unique touch. Very close to Central Festival mall and just about everything else. Nice little roof top pool. Set between Soi Buakhao and Third Rd. on Soi 21, the Adelphi is a nice new hotel worth looking at. It is a complete remodel of the existing hotel that was there and construction completed in the last year. The rooms are very nicely done and the roof top pool is a great place to lounge around during the day. 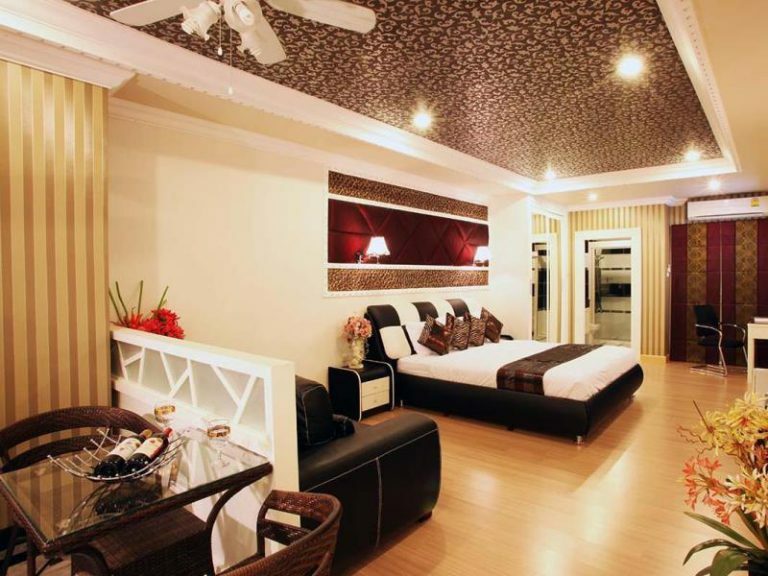 The Areca Lodge has been around Pattaya for a long time. They’ve been keeping the rooms updated and the new Evergreen wing was built several years ago. 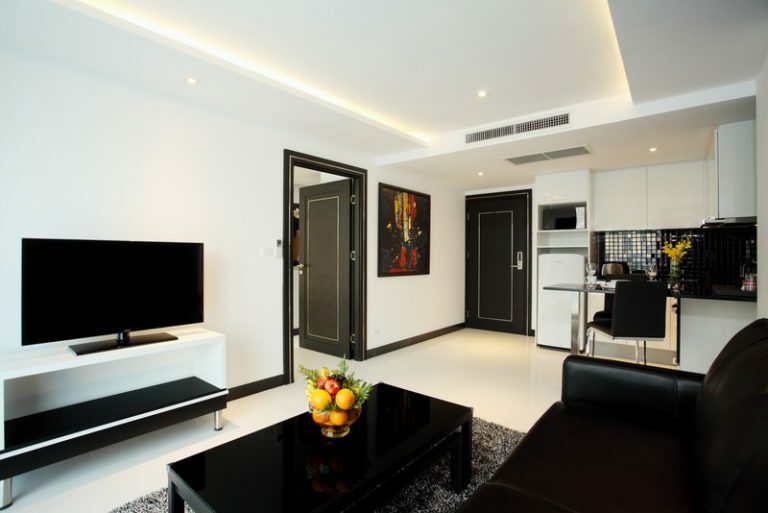 It is centrally located on Soi Diana and close proximity to anything you could want and need. It is a large hotel complex with two large pools, fitness area, and many other amenities. 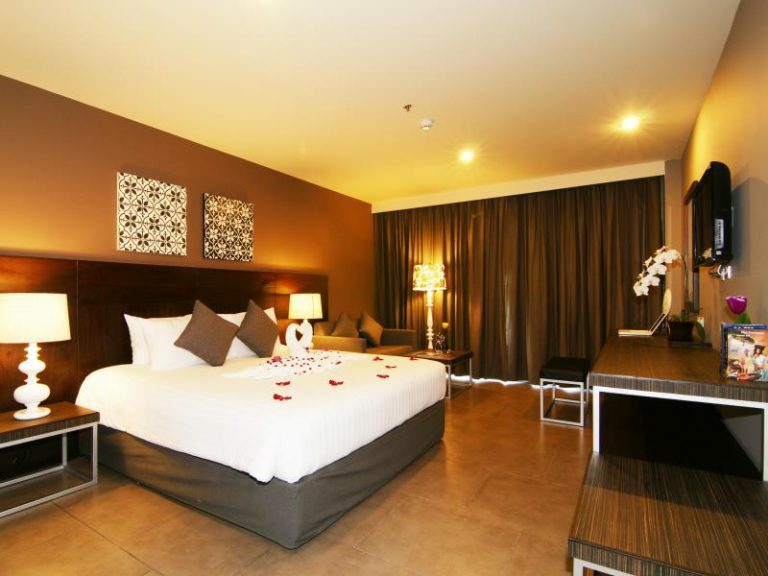 A very nice hotel located on the Pattaya City Walk, the Aya Boutique Hotel is right between Beach Road and second road. 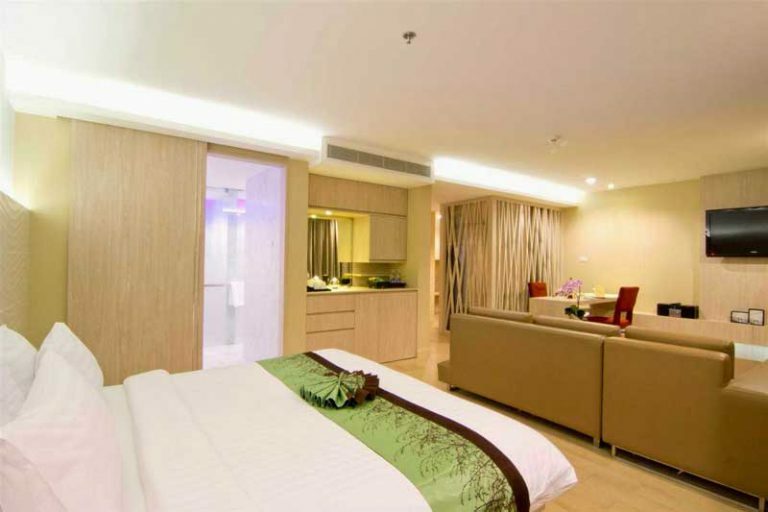 Close to Walking Street, the Royal Garden Mall and plenty of restaurants and bars. The pool is indoor/outdoor, and looks out over the courtyard and City Walk. 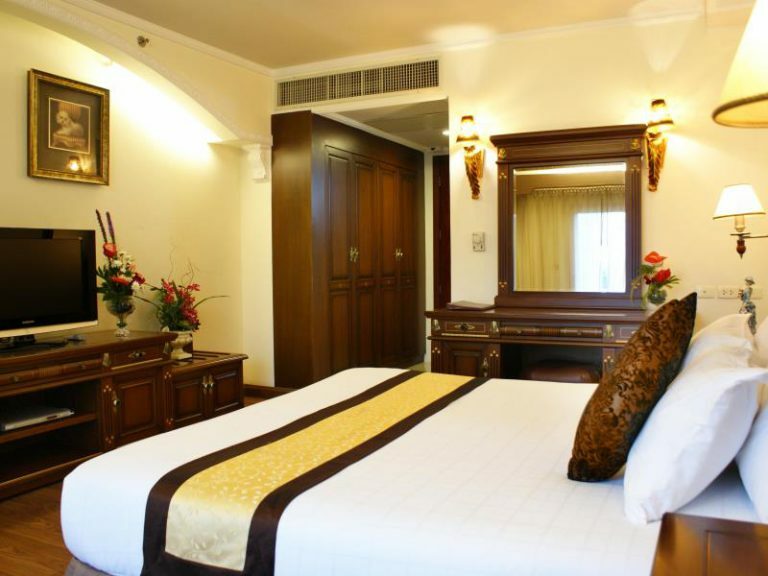 Located on Beach Road and Soi 12, the LK The Empress is in a prime location. It offers some great rooms with awesome ocean front views. 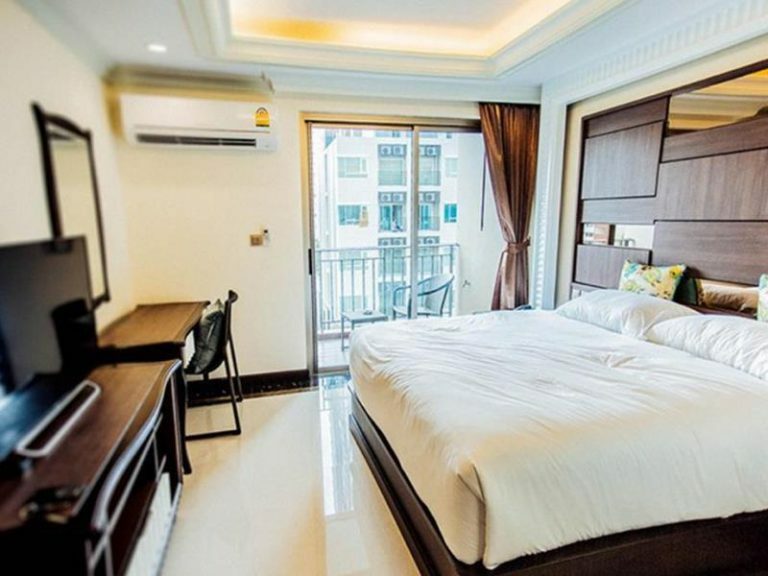 The location and views come with a price tag, and this hotel isn’t going to ever make a list of budget hotels in Pattaya. But the great location and awesome views are worth the price to some. Located in the thick of the action on Soi Diana, the LK Metropole Hotel has been a stalwart of guest friendly travelers for years. The rooms are starting to show a bit of age, but it is still a good hotel in a great location with good service. It has big pool place area perfect for relaxing after a night on the town. Just down the street from the LK Royal Suite you’ll find the LK Royal Wing. It doesn’t have all the amenities of its sister hotel, but is good value for the money. Very large rooms with kitchenettes and a nice roof top pool make this a place to check into. It’s location on Soi 10 puts the Page 10 hotel in an ideal location for anyone wishing to strike out and enjoy all Pattaya has to offer. The hotel has a boutique style, and although still very nice, some of the rooms are starting to show some wear and tear. The small but nice roof top pool and bar area is a relaxing place to spend the day. Just down the road on Soi 10 is the Sea Me Spring Hotel. 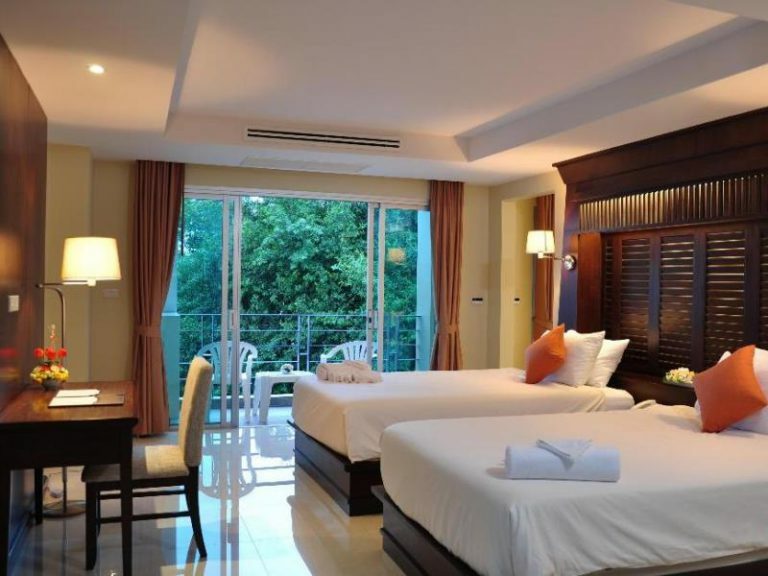 This is another boutique style hotel with a very nice roof top pool that overlooks the ocean. Its location is hard to beat. With the beach, shopping, and nightlife within a short distance. 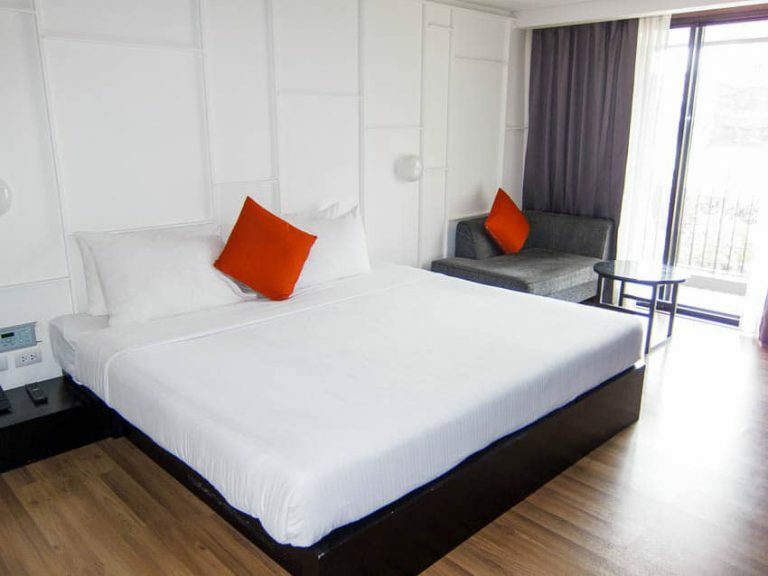 Also located on Soi 10, the Sea Me Spring Too offers guests nice, but basic hotel rooms. The roof top pool is great, complete with a bar and view of the ocean. This end of Soi 10 is quiet and you shouldn't be disturbed by surrounding bars. The hotel also has a fitness center if you want to get in some exercise of the non-horizontal kind. Another of the great boutique hotels on Soi 10, The Stay hotel has decent sized rooms and very basic but pleasant décor. A quaint roof top pool and bar make a nice area to get some sun and lounge around. Like most hotels on Soi 10, The location is hard to beat. 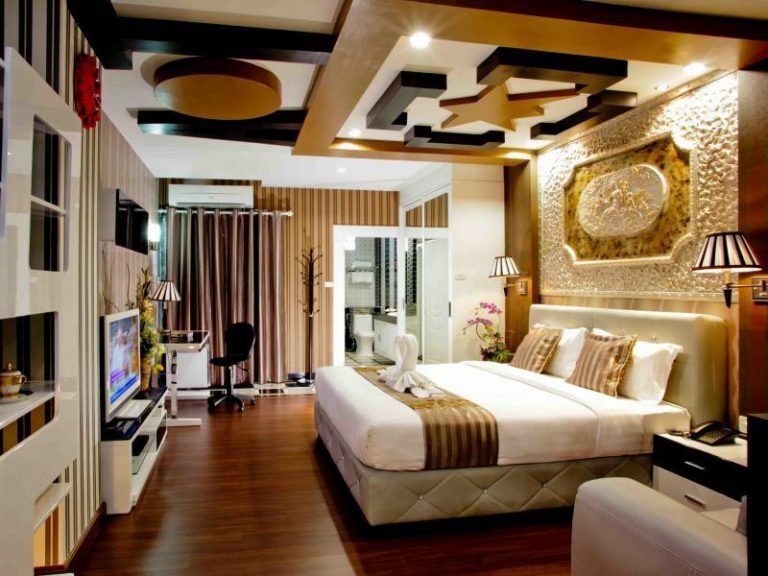 These are some of the best Pattaya guest friendly hotels in the city. Each one is well worth a look as you do your research for your trip. All the hotels on this list are ladyboy friendly hotels. In most cases, if a hotel is known to be guest friendly / girl friendly in Pattaya then it is most likely a ladyboy friendly hotel too. 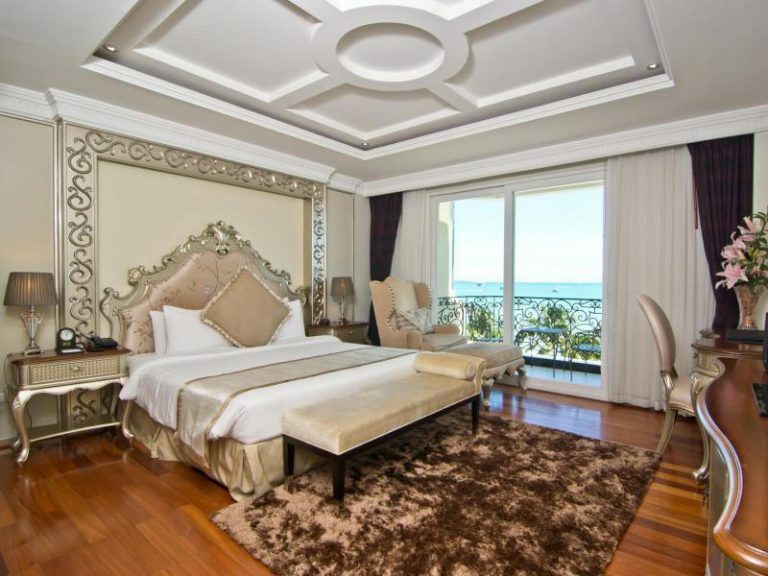 You can check out the complete list in our Pattaya Ladyboy Friendly Hotels Guide. There are certain hotels that have a no ladyboy policy. One major hotel chain that comes to mind is the Eastiny Hotel group. We wanted our list to be inclusive and non-discriminatory so hotels like this will never be recommended until they change their policy. Is Adelphi hotel guest friendly? I couldn’t find this hotel in others list. So jus wanted to make sure. Please let me know. Thanks! Hi Chand. Yes, the Adelphi is guest friendly. I spent a couple weeks there in December. Yes, March Hotel is Ladyboy Friendly and a great hotel for the money in my opinion. Hope you have a great trip. Is long beach hotel guest friendly? Do you mean Long Beach Garden Hotel in Pattaya? I’m not sure of their guest friendly policy, but I’ve contacted them for you. I’ll let you know what I hear back from them. hi, Nova platinum hotel guest free? Nova Platinum Hotel is guest friendly last I have heard. anybody know about baron beach hotel? is GF? I think they may charge a joiner fee. You may want to send them an email and confirm. Is Baron Beach (Soi 9) guest friendly? I couldn’t find this hotel in others list. So jus wanted to make sure. Please let me know. Thanks! I have written an e-mail to the Baron Beach but no answer. I’m afraid I don’t have any intel directly from the Baron Beach Hotel. I’ve heard several reports that they charge a 500 THB joiner fee. Hopefully, you will hear back from the hotel and they will clarify, but personally, I’d look at other hotels known to be guest friendly. The March Hotel and August Suites are in similar price ranges. But there are a lot of options out there. I have another question. Is this Sunbeam Hotel Pattaya Joiner Fee? the baech front resort_best bella_Green park resort_selection Hotel_flipper lodge Are FG? Hello. Flipper Lodge if GF. I’m not familiar with the other hotel though. Is the Wave hotel Guest friendly? Anyone knows ‘Mike hotel’ guest friendly or not? My self and a friend are going to Pattaya over xmas and new year. We have left it a little late and there are a wealth of options, August Suites was main choice but now gone. Were after Pool, Bar and girl friendly in a place with little noise in the evening. I just took a browse around Agoda, it looks like the hotels I would like to recommend are sold out too. You might check out the Sea Me hotels on Soi 10, it’s relatively quiet down that end and a great central location. 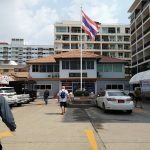 I’d also take a look at the LK Royal Wing, it’s down a nice quiet street off Soi Buakhao and Central Pattaya road – a little farther away but still easy to get a Baht Bus on Soi Buakhao. Though it lacks certain amenities like a gym and restaurant. Appreciate sharing your wealth of knowledge! I was wondering if you would recommend LK legend or Travelodge hotel. Been reading lots of reviews between the two and would appreciate to get some of your advice. Gym facility is a must. We will be partying at night but still expect the rooms to be clean! As far as the LK Legend goes, it is too far out for my liking. It is way past 3rd road, so I’ve never even looked at it. I like the location of the Travelodge, and to be honest, I didn’t even realize the hotel had changed hands again from the Premier Inn. I had given it a pass when Premier took over from OZO hotels, but I may need to try it out again. It’s squeezed in right next to the Pattaya Bay Resort, so depending on the room you get your view could be interesting. The gym is very basic with a flat bench and some dumbells, treadmill, recumbent bike, and an elliptical – at least the last time I was there. If you need a full gym, you are right next to the Avenue Mall which has the Fitness 7 gym. The daily rates are kind of pricey, but depending on how long you are staying you can get a better deal. The at Mind Premier Suites is very nice. It is more of a serviced apartment so the rooms I’ve seen have little kitchenette areas. The pool is small and the loungers are in the shade. The gym has a little more equipment than the Travelodge, but still pretty spartan. I’m not sure what you require from a hotel gym, but if you’re a bodybuilder you’ll be disappointed. As you mentioned, it is farther away from Walking Street. You’ll have to grab a motorcycle taxi or walk down to Buakhao to get a Baht Bus. It’s me again. I’m adding at Mind premier suites hotel to the mix. Price is similar and it great. I know it might be a little further away from walking street (which is where we will be most of the time) but seems like a good place to stay. Thoughts? Is this hotel joiner free everyyear? August Suites is good. It is clean but like many hotels in Pattaya a little dated. It is guest friendly. is march hotel guest friendly …? Hi Ragul. The March Hotel is guest friendly. is DoubleD Boutique hotel is guest free ? Penthouse Pattaya is not in the list of guest friendly. Why? hi, I see your last comment about Adelphi is almost a year old. I have stayed there in Dec 2016 and had a fabulous experience. Does it continue to be guest / joiner friendly? Hi Jeremy. As far as I know there hasn’t been any changes and the hotel is still guest friendly. There are reports it was gf, but all reports very old, before their renovation in 2015. I’m not familiar with the Ice Inn, but from your description it sounds like it is guest friendly. March Hotel will charge 500 baht for a joiner. Nice hotel, but should not be on that list. Unless something has changed, 2 people in room is free, any additional guest is charged the joiner rate. This common in Pattaya hotels and acceptable to make the list. Please let me know if this was not your experience at the March Hotel and I’ll reevaluate the hotel. I just find your very informative site. Thank you for all the information. I would like to cut through all the clutter…..Regardless of price, what girl friendly hotel would you recommend that is in easy walking distance to Walking Street? I just want a nice, clean, safe property with a more affluent guest profile. Ideally, the hotel will have nice restaurants, bar/lounge, pool, and gym. Also of great importance is privacy. I would prefer my activities not be scrutinized by other guests or staff. The properties I am looking at are: Myatt Beach Hotel, Hard Rock, and Hilton. Hi, I have been to LK Empress last year but they are charging for more than 1 guest. Hotel is very good but it shouldn’t be on this list. Hi Rocky, thanks for stopping by. As I mention in the intro, this list considers hotels that don’t charge for the 1st guest, as guest friendly. This is the norm in Pattaya and why I chose that as one of the criteria for hotels on this list. Can you give me an example of a hotel that doesn’t charge for more than 1 guest? I’m hard pressed to think of one. Guest houses a plenty for sure, but hotels? Is ibis hotel guest friend? I am looking for an extended stay hotel, something with a kitchenette (or kitchen), separate living room, bedroom. More like a small apartment than a standard one room hotel room. Can you recommend anything like that in Pattaya? is the new Acqua Hotel Guest friendly?